This smells so nice, with nothing heavy about it. Young red raspberry and cranberry, mineral with some light yeasty aromas that I love. Young, easy and softer tannins make it a very nice bottle of wine coming from the vines planted on sandy soil. All stainless steel aged. 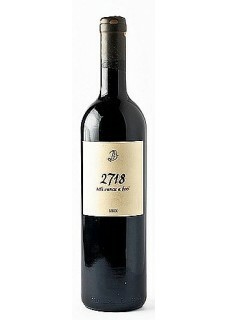 Name of the wine suggests a high insolation, characteristic for island of Hvar - 2718 hours of sunshine per year, or an average of 7.45 hours of sun per day. Food pairing: Grilled meat, veal and pork. Ivo Duboković is Croatia's leading boutique winemaker and certainly one of the most serious one in Croatia. His vineyards are located on the island Hvar, one of the warmest and sunniest islands in the Adriatic spreadinog over microlocalities of Sveti Nikola and Medvid bod. Soil structure ranges from limestone pebble, white sand with small percantage of red soil, giving an ideal nutrition source to indigenous varieties such as Mali Plavac Drnekusa, Parac, Kuc, Bogdanusa and Marastina. Dubokovic prefers that his wines are dense, bold, with a fuller body and structure, therefore he leaves grapes on vines till late September through the October.